Welcome to Bank On Virginia Beach Blog! You may be asking yourself, what is Bank On anyway and why should I be involved. Bank On Virginia Beach is a unique partnership of community resources coming together to help you build a stronger financial future. Through classes, low cost financial accounts and one on one coaching, Bank On is ready to help you take the steps needed to take control of your financial future. 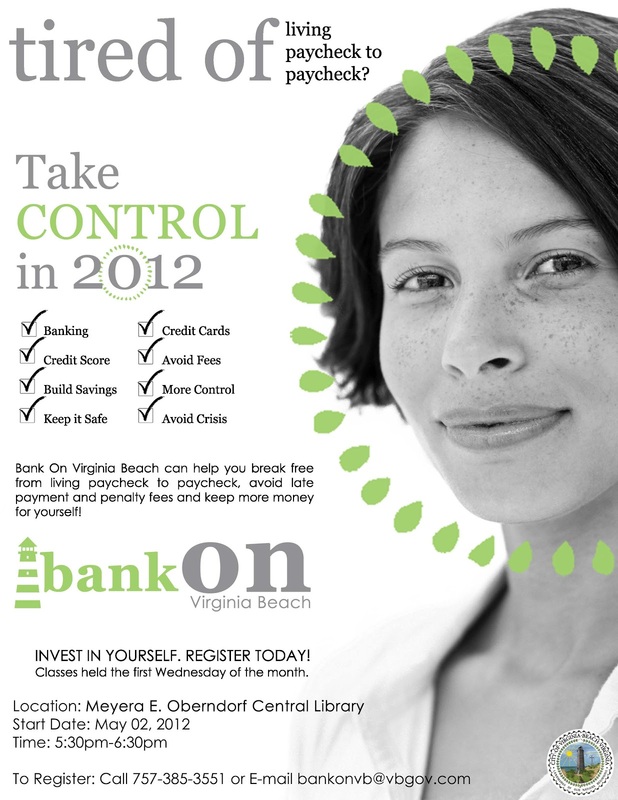 Bank On Virginia Beach is a part of Virginia Beach Department of Human Services Financial Empowerment program. Members of Bank On often enroll in the Mayor's Action Challenge for 500 Families Financially Fit for the Future. These programs together give you a roadmap for increasing income, savings and credit score while reducing debt. Enrolling is easy and the benefits are great. Participants who complete the Mayor's Action Challenge for 500 Families Financially Fit for the Future will receive a certificate from the Mayor upon completion and may be eligible for other incentives as well. Even without the incentives, you know you want a better future for yourself and your family, so enroll today and begin the journey to financial fitness!